St . Just v st .austell .........what a cracker that will be!! The imagination of the cup! Recent previous winners travelling down to the far west for 90 minutes of the knock-out stuff! It’ll be a good watch!!! hard battle should I have said? I think it's the first time in many years that a top SWPL team has had to travel to RNAS Culdrose! They'll love the wide open spaces and the atmosphere of the place! ? Some tough games for St.Austell at St.Just, Wadebridge at Pendeen, and especially Liskeard at Perranporth. Fancy a shock in one of those games. If its windy and raining there could be an upset ! I wouldn't go that far but it's not the nicest place to go. Remember when they had a few seats there but now there's only Bill Pearce's executive box! Aaaaah Bill Pearce ! Now theres a referee who wouldnt stand for any of the shenanigans that go on these days . St Just v St Austell - a shock for whom RAPPO ? 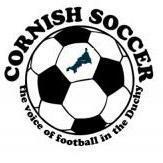 First shock for St Austell will be the changing rooms. Bodmin visited in the cup a few seasons back - beat us late in the second half. That was a hard game - Bodmin won't want to visit Lafrowda Park again in a hurry. Oh - well in that case they will think they've come to Anfield or Old Traford when they get to Lafrowda Park then. Never paid to be first into the showers at St Just Keith! Perranwell's first appearance in the 2nd round since 2010/11.